Visit Our; "Property Tax Guide"
ATTENTION: Do you need Flood Map, Zone or Rate information for a property? To receive free Flood Details for a particular property Contact Us. We usually respond within 24 hours and can accommodate up to ten requests per month. Or try our Interactive Flood Map (area, not property property specific). IN 30 SECONDS: What are all the Flood Insurance Changes? 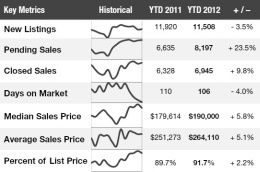 Buying/Selling Property Will Trigger (Rate) Changes. 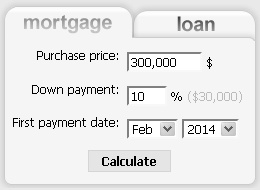 30 Day Waiting Period for All Policies EXCEPT Loan Closings. WANT TO TALK ABOUT REAL ESTATE & FLOOD INSURANCE? CONTACT US. 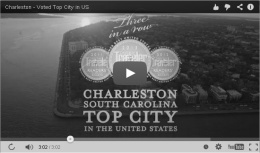 For a Charleston resident, real estate flood insurance is considered a common reality. While the National Flood Insurance Program - NFIP is a typical part of most homes sales, it is often misunderstood, and for good reason. 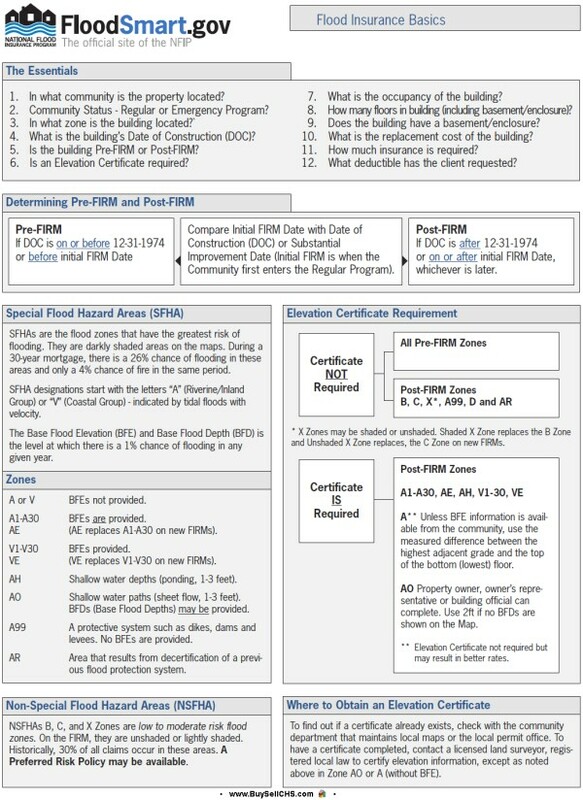 With terms like "FIRM" & "Zones" and documents such as "Elevation Certificates" & "Maps" only qualified agents are capable explaining and providing flood insurance. Please note that this document doesn't describe or explain "Wind & Hail" insurance, and these are often a significant part of the total insurance cost. While wind and hail are separate (but combined) property insurance, it is the flood characteristics that directly impact the homes wind and hail insurance rate. Flood Insurance Rate Maps (FIRMS) are created and maintained to display degrees of risk for communities. These existing flood map zones help determine the cost of flood insurance. Flood risk and cost can, and does, change over time. FEMA is currently updating flood hazard maps across the nation. These new flood maps, also, known as Digital Flood Insurance Rate Maps (DFIRMs), provide an official depiction for each community and show flood risk at a property-by-property level. As new maps are published your risk may change along with your flood insurance requirements! If you've been included into a high-risk area, you will likely be required to purchase flood insurance, and it is possible that when new maps are released your property may no longer meet federal, state or local standards and will become regulated by a new set of flood related construction rules. Visit FEMA.gov to see if a new flood hazard map for your community is available. In the greater Charlestons Areas (X Zones) expect coverage to cost between .75% and 1% of home replacement cost (not property value). A premium for a $200k home might be $1,000 to $2,000 a year. On Charleston’s Barrier Islands (A & V Zones) coverage could cost between 1% and 1 ½%. A premium for a $200k home might be $2,000 to $3,000 a year. However, a 1 million dollar newer home with hurricane windows might only be $4,500 to $5,500 a year with Wind & Hail coverage, but this same home with some slight differences could cost $10,000 to $12,000 a year. However, each risk varies so much there is not a standard percentage…there is just no standard quote anymore. The only way to know the cost (full risk rate) is having a new or current elevation certificate (typically cost $300-$500) then finding and speaking with an Insurance Agent. 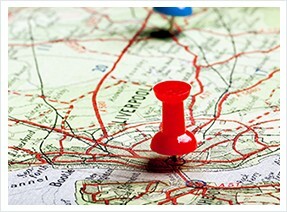 If you have any additional questions or need an insurance quote on any real estate contact us. We would be glad to refer you to a great a local qualified Insurance Agent who can accurately quote any home you’re interested in. Here is a sampling of policy premiums for different zones. There many words, phrases, and acronyms used was talking and writing about Flood. Below we have complied a short list of the most common one's. Understanding these, and the relationships to each other will make navigating a Flood conversation much easier. Flood Zone Describes that land area in terms of its risk of flooding. 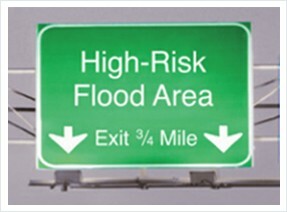 Special Flood Hazard Areas (SFHA) Flood zones that have the greatest risk of flooding. During a 30-year mortgage, there is a 26% chance of flooding in these areas and only a 4% chance of fire in the same period. Designations start with the letters “A” (Riverine/Inland Group) or “V” (Coastal Group) - indicated by tidal floods with velocity. Base Flood Elevation (BFE) Level at which there is a 1% chance of flooding in any given year. Elevation Certificate (EC) Tool that documents your building’s elevation. Flood Insurance Rate Map (FIRM): A map issued by FEMA showing flood risk, BFEs, and risk premium zones. NFIP National Flood Insurance Program. Non-Primary Residence If the building will be lived in for less than 80 percent of the policy year, it is considered to be a non-primary residence. Pre-FIRM Buildings constructed BEFORE the community’s first Flood Insurance Rate Map became effective and has not been substantially damaged or improved. Zone A Areas of moderate to high hazard subject to flooding from severe storm activity or local drainage problems.. Mandatory flood insurance purchase requirements apply. Zones B, C, and X Areas of moderate or minimal hazard subject to flooding from severe storm activity or local drainage problems. Flood insurance purchase is not required. Zone V An area that is inundated by tidal floods with velocity (coastal high hazard area). Mandatory flood insurance purchase requirements apply. 1. In what community is the property located? 2. Community Status - Regular or Emergency Program? 3. In what zone is the building/home located? 4. What is the building’s Date of Construction (DOC)? 5. Is the building Pre-FIRM or Post-FIRM? 6. Is an Elevation Certificate required? 7. What is the occupancy of the building? 8. How many floors in building (including basement/enclosure)? 9. Does the building have a basement/enclosure? 10. What is the replacement cost of the building? 11. How much insurance is required? 12. What deductible has the client requested? FIRM Determination: Compare Initial FIRM Date with Date of Construction (DOC) or Substantial Improvement Date (Initial FIRM is when the Community first enters the Regular Program). 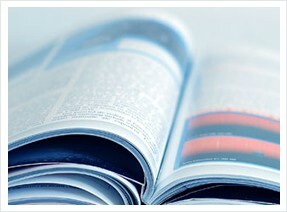 • Post-FIRM: If DOC is after 12-31-1974 or on or after initial FIRM Date, whichever is later. “A” (Riverine/Inland Group) - moderate risk for flooding or drainage problems from severe storms. “V” (Coastal Group) - high risk indicated by tidal floods with velocity. The Base Flood Elevation (BFE) and Base Flood Depth (BFD) is the level at which there is a 1% chance of flooding in any given year. A or V BFEs not provided. AE (AE replaces A1-A30 on new FIRMs). VE (VE replaces V1-V30 on new FIRMs). AH Shallow water depths (ponding, 1-3 feet). AO Shallow water paths (sheet flow, 1-3 feet). BFDs (Base Flood Depths) may be provided. A99 A protective system such as dikes, dams and levees. No BFEs are provided. AR Area that results from decertification of a previous flood protection system. "B", "C", and "X" - low to moderate risk flood zones. On the FIRM, they are unshaded or lightly shaded. Historically, 30% of all claims occur in these areas (A Preferred Risk Policy may be available). B, C, & X Are low to moderate risk flood zones. * X Zones may be shaded or unshaded. Shaded X Zone replaces the B Zone and Unshaded X Zone replaces, the C Zone on new FIRMs. * Unless BFE information is available from the community, use the measured difference between the highest adjacent grade and the top of the bottom (lowest) floor. Elevation Certificate not required but may result in better rates. 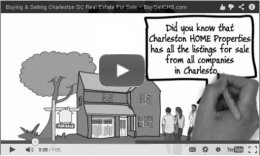 ** AO Property owner, owner’s representative or building official can complete. Use 2ft if no BFDs are shown on the Map. To find out if a certificate already exists, check with the community department that maintains local maps or the local permit office. To have a certificate completed, contact a licensed land surveyor, registered local law to certify elevation information, except as noted above in Zone AO or A (without BFE). º Britt Land Surveying, Inc. This information is NOT property specific, area only. To receive free Flood Details for a particular property Contact Us. Homeowners living in flood-prone areas are getting relief from insurance costs hikes under new legislation signed by President Obama. Bipartisan supported for the measure came in response to frustrated residents who faced sharp premium increases after an overhaul of the government’s flood insurance program two years ago. The new law caps flood insurance premium increases and allows below-market insurance rates to be passed on to people buying homes in flood prone areas. President Barack Obama is set to sign into law a bipartisan bill relieving homeowners living in flood-prone neighborhoods from big increases in their insurance bills. The legislation, which cleared Congress on Thursday, reverses much of a 2012 Biggert-Waters overhaul of the government's much-criticized flood insurance program after angry homeowners facing sharp premium hikes protested. The Senate's 72-22 vote sent the House-drafted measure to Obama. White House officials said he'll sign it. The bill would scale back big flood insurance premium increases faced by hundreds of thousands of homeowners. The measure also would allow below-market insurance rates to be passed on to people buying homes in flood zones with taxpayer-subsidized policies. The legislation offers its greatest relief to owners of properties that were originally built to code but subsequently were found to be at greater flood risk and would preserve that status and cap premium increases at 18 percent a year. For primary residences premium increases are limited to between 5 and 18% per year. For second homes and businesses the increases will be limited to 25% a year, again based on the current maps. Lastly, H.R. 3370 covers the costs of fixing Biggert-Waters. The bill covers the cost by charging ratepayers a $25 yearly fee for primary residences and a $250 yearly fee for second homes and businesses. The Senate passed a bill to delay certain flood insurance rate hikes by a vote of 67-32. The bill delays certain provisions of the Biggert-Waters Flood Insurance Reform Act of 2012. Known as the “Homeowner Flood Insurance Affordability Act of 2014,” it was sponsored by Sens. Bob Menendez (D-N.J.) and Johnny Isakson (R-Ga.). Its fate now rests with the House of Representatives where some Republican leaders have expressed opposition to the flood insurance delay provisions. The Senate bill would halt premium hikes by retaining most flood insurance subsidies for four years to give the Federal Emergency Management Agency (FEMA) time to complete an affordability study and guarantee that its flood maps are accurate. The bill would also grandfather low rates for homeowners placed into a flood zone for the first time or moved into a higher-risk flood zone due to remapping. Senators Robert Menendez (D-NJ) and Johnny Isakson (R-GA) introduced the NAR-supported “Homeowner Flood Insurance Affordability Act” (S. 1610), to delay unintended rate increases under the Biggert-Waters law and its implementation. The bill’s delay would apply to any property that is grandfathered or purchased after July 2012, including second homes and commercial properties. The other property owners will still see any rate increases capped at 20-25% a year. The bill was introduced with an impressive list of 15 Senate and 65 House original sponsors. Today it is being reported that a deal has been reached and congress is set to pass a new revised bipartisan bill that will stop the flood insurance rate increases that took effect on October 1st. "The new legislation calls for a four-year delay in most rate increases..."
"From the start, I have made clear that I would lead the effort to fix the unintended consequences of the Biggert-Waters Flood Insurance Reform Act,” said Waters..."
"It [legislation] will impose a delay likely to total four years for the most vulnerable properties..."
"The proposed delay applies to: primary, non-repetitive loss residences that are currently grandfathered; all properties sold or purchased a new policy after July 6, 2012." "Lawmakers from both parties have been clamoring for a delay in the Biggert-Waters reforms." There are major changes coming to The National Flood Insurance Program (NFIP), which may immediately affect your current flood insurance premiums or will affect many Charleston South Carolina residents and out of sate second home property owners. Here we will try to explain which properties will be affected by these changes, when the changes will take effect, and what steps you can take to address the changing flood insurance environment. 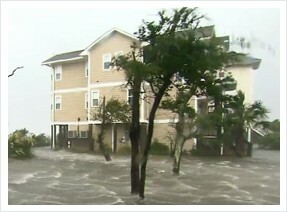 What is the Biggert-Waters Flood Insurance Reform Act of 2012? Biggert-Waters Flood Insurance Reform Act was passed and signed into law mid 2012. The legislation extends National Flood Insurance Program (NFIP) authority through 2017 while requiring significant program reform and change Homeowners Flood Insurance as we know it. Many of the changes are designed to make the NFIP more financially stable, and ensure that flood insurance rates more accurately reflect the real risk of flooding. All Homeowners properties that were previously paying below full actuarial rates will end their subsidy and begin paying the full rate either at the time of sale or gradually phased in over time with most changes taking effect October 1st 2013.
Who and Which properties will be affected and Why? There will be changes addressing rate subsidies and there are also provisions to adjust premium rates to more accurately reflect food risk. About 20% of all NFIP policies pay subsidized rates. Only a portion of those policies that currently paying subsidized premiums will see larger premium increases of 25% annually until they reach the full risk rate. 5% of policyholders with subsidized policies for non-primary residences will see the 25% annual increases immediately. Also, subsidies will no longer be offered for policies covering newly purchased properties, lapsed policies, or new policies covering properties for the first time. FEMA National Flood Insurance Program (NFIP) indicates that this many policies (properties) primary and non-primary/secondary residences will be affected by the phasing out (removal) of subsidized policies under the Biggert Waters Flood Insurance Reform Act of 2012. * H.R. 5740 non-principal residences will be phased out beginning January 1, 2013. All others will begin being phased out October 1, 2013. How likely am I to be affected and When? In general properties most affected by changes in rates are properties located within a Special Flood Hazard Area (SFHA) that were constructed before a community adopted its First Flood Insurance Rate Map (FIRM) and have not been elevated. Subsidies are already being phased out for non-primary residences. Subsidies are not being phased out for existing policies covering primary residences. However, subsidies will be immediately phased out for all new and lapsed policies and upon sale of the property. If a subsidized rate policy lapses or the property is sold there will be an immediate increase to the full risk rates charged to the next owner of the policy. What will happen to flood insurance costs? To find out what a property's full risk rate will be, the single most important fact is the elevation of the structure in relation to the Base Flood Elevation (BFE). Put another way, the BFE is the elevation where there is a 1% or greater annual chance of fooding. For a property in the high-risk zone, you need to know the elevation of the structure in relation to the BFE. Generally, the higher the elevation above the BFE, the lower the flood risk. The information is shown on an Elevation Certificate - EC, which is a form completed and signed by a (licensed surveyor or engineer. So to determine the premium for a property in a high-risk zone, you first need an elevation certificate. Then, an insurance agent can calculate the premium based on the amount of coverage desired. Some policy rate changes for older non-primary residences were effective in January 1, 2013. Many significant changes such as need for new Elevations Certificates, requirements for post sale new polices, go into effect on October 1, 2013. Yet others will not go into effect or properties affected until new Flood Maps are provided in late 2014 or even 2015. How can I take steps to avoid or reduce flood risk status? It’s important to know the distinctions and actions to avoid, or to take, to lessen the impacts. Properly owners should talk to their insurance agent about how these changes may affect their properly and flood insurance policy. Consider options they may have for minimizing the impact of this new law on your properly. Do you have a rate change example after Biggert-Watter? • Primary Residence with proper venting.